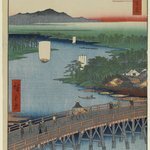 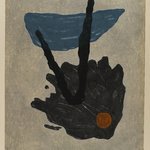 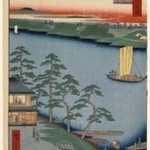 The two passenger boats in the lower half of this print are crossing paths on the Onagi Canal at the point where it joins the Nakagawa River, the broad stream in the center. 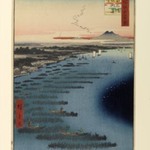 They are passing in front of a guard station barely visible at the lower left. 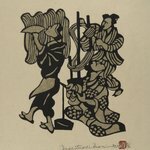 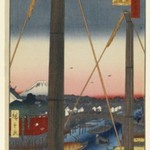 This checkpoint, established for military security in the early Edo period, was apparently once quite strict. 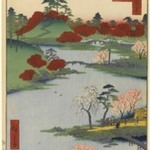 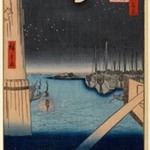 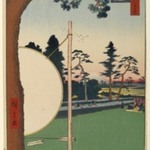 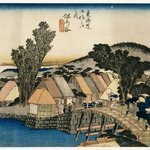 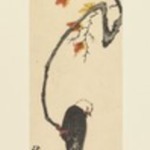 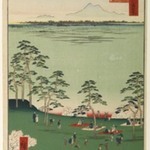 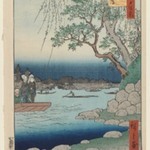 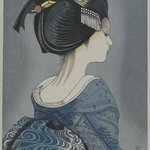 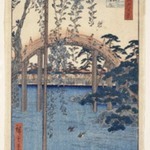 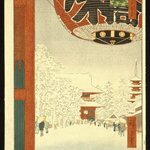 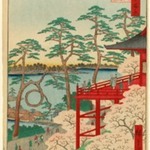 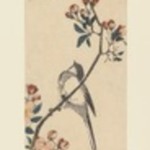 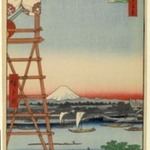 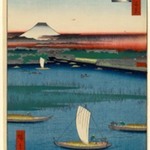 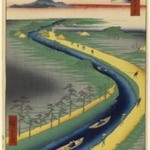 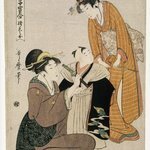 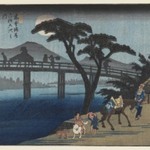 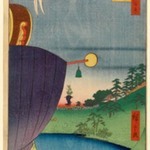 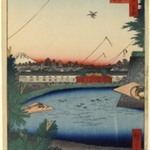 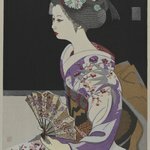 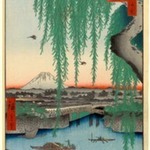 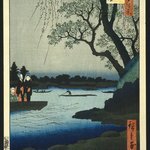 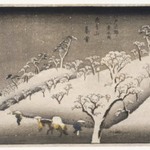 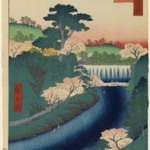 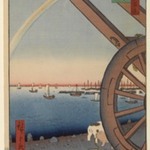 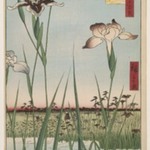 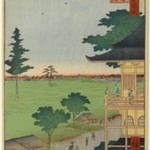 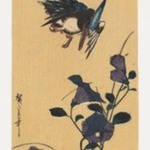 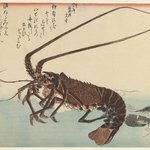 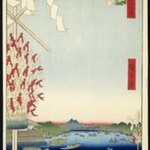 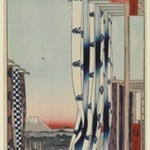 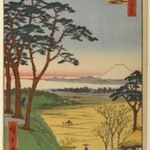 By Hiroshigeâ€™s time, however, after more than two centuries of peace, the inspection procedure was a mere formality. 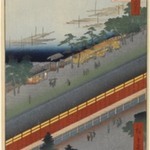 A memory of the inspection station survives today in the Guardhouse Bridge, which spans the entrance to the Onagi Canal. 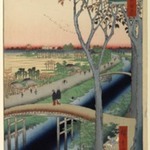 CATALOGUE DESCRIPTION This view shows the Onagi Canal at the point where it joins the Nakagawa River in the center. 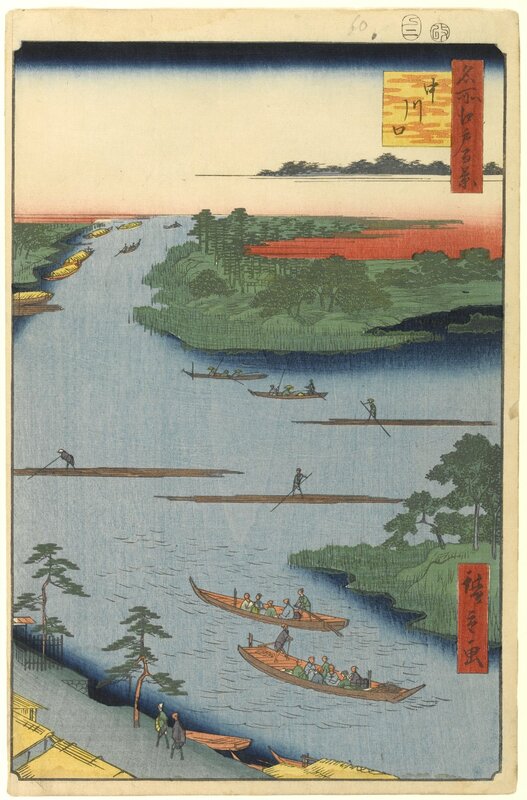 Continuing in the far distance is the Shinkawa Canal. 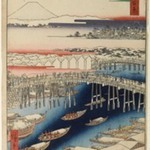 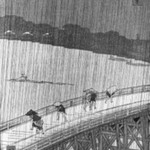 Both canals were constructed in the early Edo period to provide a rapid channel for supplying the city from the east and north, and for its access to the salt produced in the area. 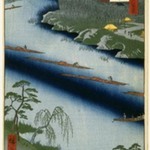 The mat-covered boats along the canal in the distance are probably carrying loads of this commodity. 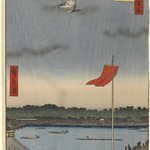 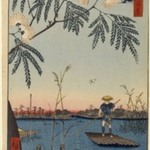 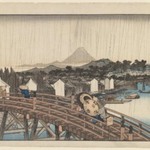 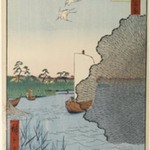 Two small passenger boats are seen in the lower part of the view and are passing in front of a "bakufu" guard station, which was a checkpoint established for military security. 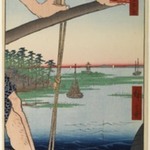 Each boat captain was required to stop at the landing and declare his cargo and passengers in detail. 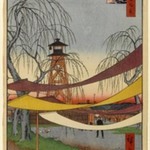 A memory of the inspection station survives today in Guardhouse Bridge which spans the entrance to the Onagi Canal. 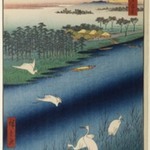 The Arakawa Drainage Canal presently replaces the lower Nakagawa.